The film Queen Margot (La Reine Margot) released in 1994, tells the story of Margot of France, a Catholic princess who is forced into marriage with the Protestant Henry of Navarre as a type of peace treaty between France and Navarre during the contentious period known as the “Wars of Religion.” This film was based on Alexandre Dumas’s novel of the same published in 1845. This film’s budget was $22,229,906, the Box Office reception for this film in the United States was $1,292,232, though internationally it grossed $3,295,147. 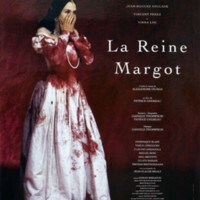 As to its critical and popular reception, IMDb users rated Queen Margotwith 7.5/10 stars. On Rotten Tomatoes, the film averaged withcritics at 6.3/10 and audiences gave it a 4/5. Roger Ebert’s rated this film a 2/4, and felt that the film was not focused enough on clarifying or developing the people and their relationships to one another. Queen Margot, however, was nominated for Oscars, Golden Globes, BAFTA Awards, and won Cannes Film Awards and Cesar Awards. The film won the award for best actress for Virna di Lisi, who played Catherine de Medici, at both Cannes and the Cesar Awards. Patrice Chéreau, the director of the film, also won the Jury Award at Cannes. Queen Margot takes place in the late sixteenth century in France and as the Wars of Religion, which was a conflict between Catholics and the Protestants over political control and influence France. The film begins with the wedding of Margot (Isabelle Adjani) to King Henry of Navarre (Daniel Auteuil), a Protestant. Margot is forced by her mother, Queen Catherine (Virna Lisi) to marry Henry to form a peace treaty between the French Crown and the Huguenots, the Protestant French who are represented by Henry. Margot and Henry marry, although Margot refuses to consummate her marriage to Henry and has no interest in a real relationship with him. Instead, Margot, has (implied) sexual relationships with her brothers and a real affair with a Protestant solider, La Môle (Vincent Perez), upon whom she stumbles when on the streets looking for men to satisfy her marriage bed, and with whom she eventually falls in love. Only a short time after the wedding, the St. Bartholomew Massacre, in which thousands of Huguenots are murdered, occurs. The Protestant Admiral Coligny, who was advising the young King Charles (Margot’s brother), is also murdered, and this act represents a turning point in both the story in the film and in history. Queen Catherine is found to have initiated the Massacre in order to ensure the Protestants do not take the throne. Catherine is also depicted as having an attempt made on her own daughter’s life. She uses poison, on Margot, Henry, and La Môle, and even mistakenly kills Henry’s mistress with poisonousness lipstick. The film ends with Henry escaping to Navarre and telling La Môle to save Margot, although La Môle doesn’t make it in time and he is captured and beheaded. Margot then holds her lover’s head in her arms and leaves. Margot’s brother, King Charles, dies, and Catherine’s goal is achieved by getting her other son Anjou to become King. The film Queen Margot pulls information from history with events that did occur, such as the arranged marriage, the Wars of Religion, and St. Bartholomew’s Massacre. There are also a few major inaccuracies worth nothing. First of all, the film also anachronistically uses the Hallelujah Chorus from Handel’s Messiah, which dates to the eighteenth century, during the wedding procession at the beginning of the film. Secondly, while La Môle is a real character, he not a Protestant but a Catholic! Queen Margot is mainly based on popular propaganda about Margot with many historical liberties taken to make a dramatic and suspenseful story. Even though she had a controversial reputation, this film shows her as a decisive woman even though she was forced into an arranged marriage. 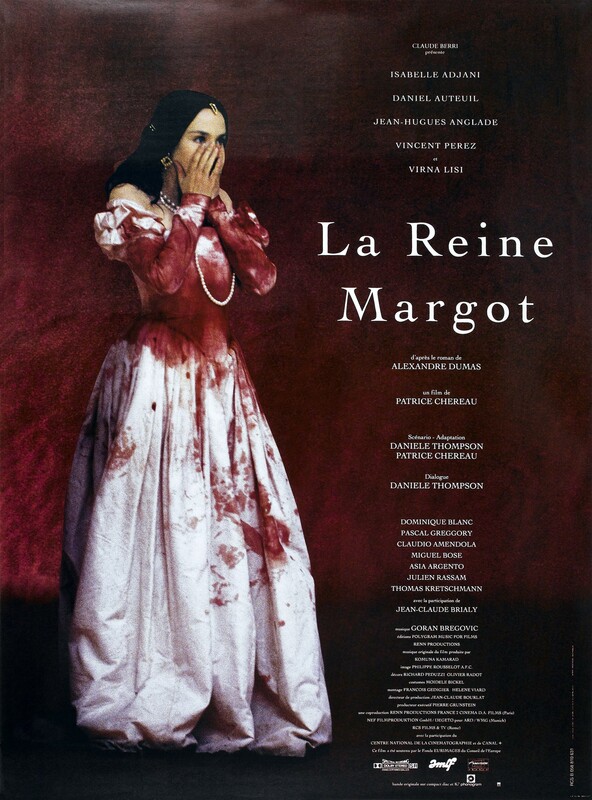 Stefania Giglio, “Queen Margot (La Reine Margot, 1994),” Medieval Hollywood, accessed April 24, 2019, http://medievalhollywood.ace.fordham.edu/items/show/152.